Children do as you do. Your child watches you to get clues on how to behave in the world. You’re her role model, so use your own behaviour to guide her. What you do is often much more important than what you say. If you want your child to say ‘please’, say it yourself. If you don’t want your child to raise her voice, speak quietly and gently yourself. Show your child how you feel. Tell him honestly how his behaviour affects you. This will help him see his her own feelings in yours, like a mirror. This is called empathy. By the age of three, children can show real empathy. So you might say, ‘I’m getting upset because there is so much noise I can’t talk on the phone’. When you start the sentence with ‘I’, it gives your child the chance to see things from your perspective. Catch her being ‘good’. 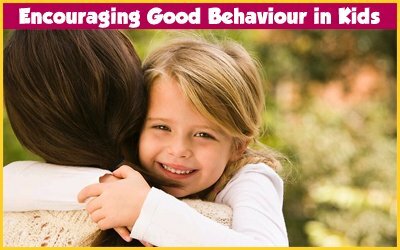 This simply means that when your child is behaving in a way you like, you can give her some positive feedback. For example, ‘Wow, you are playing so nicely. I really like the way you are keeping all the blocks on the table’. This works better than waiting for the blocks to come crashing to the floor before you take notice and bark, ‘Hey, stop that’. This positive feedback is sometimes called ‘descriptive praise’. Try to say six positive comments (praise and encouragement) for every negative comment (criticisms and reprimands). The 6-1 ratio keeps things in balance. Remember that if children have a choice only between no attention or negative attention, they will seek out negative attention. Get down to your child’s level. Kneeling or squatting down next to children is a very powerful tool for communicating positively with them. Getting close allows you to tune in to what they might be feeling or thinking. It also helps them focus on what you are saying or asking for. If you are close to your child and have his attention, there is no need to make him look at you. ‘I hear you.’ Active listening is another tool for helping young children cope with their emotions. They tend to get frustrated a lot, especially if they can’t express themselves well enough verbally. When you repeat back to them what you think they might be feeling, it helps to relieve some of their tension. It also makes them feel respected and comforted. It can diffuse many potential temper tantrums. Keep promises. Stick to agreements. When you follow through on your promises, good or bad, your child learns to trust and respect you. So when you promise to go for a walk after she picks up her toys, make sure you have your walking shoes handy. When you say you will leave the library if she doesn’t stop running around, be prepared to leave straight away. No need to make a fuss about it – the more matter of fact, the better. This helps your child feel more secure, because it creates a consistent and predictable environment. Reduce temptation. Your glasses look like so much fun to play with – it’s hard for children to remember not to touch. Reduce the chance for innocent but costly exploration by keeping that stuff out of sight. Choose your battles . Before you get involved in anything your child is doing – especially to say ‘no’ or ‘stop’ – ask yourself if it really matters. By keeping instructions, requests and negative feedback to a minimum, you create less opportunity for conflict and bad feelings. Rules are important, but use them only when it’s really important. Whining: be strong. Kids don’t want to be annoying. By giving in when they’re whinging for something, we train them to do it more – even if we don’t mean to. ‘No’ means ‘no’, not maybe, so don’t say it unless you mean it. If you say ‘no’ and then give in, children will be whine even more the next time, hoping to get lucky again. Keep it simple and positive . If you can give clear instructions in simple terms, your child will know what is expected of him. (‘Please hold my hand when we cross the road.’) Stating things in a positive way gets their heads thinking in the right direction. For example, ‘Please shut the gate’ is better than ‘Don’t leave the gate open’. Responsibility and consequences . As children get older, you can give them more responsibility for their own behaviour. You can also give them the chance to experience the natural consequences of that behaviour. You don’t have to be the bad guy all the time. For example, if your child forgot to put her lunch box in her bag, she will go hungry at lunch time. It is her hunger and her consequence. It won’t hurt her to go hungry just that one time. Sometimes, with the best intentions, we do so much for our children that we don’t allow them to learn for themselves. At other times you need to provide consequences for unacceptable or dangerous behaviour. For these times, it is best to ensure that you have explained the consequences and that your children have agreed to them in advance. Say it once and move on. It is surprising how much your child is listening even though he might not have the social maturity to tell you. Nagging and criticising is boring for you and doesn’t work. Your child will just end up tuning you out and wonder why you get more upset. If you want to give him one last chance to cooperate, remind him of the consequences for not cooperating. Then start counting to three. 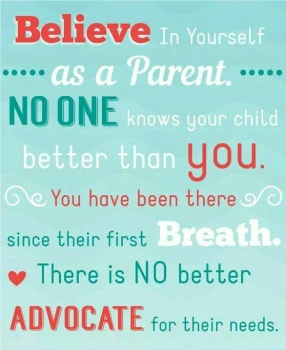 Make your child feel important. Children love it when they can contribute to the family. Start introducing some simple chores or things that she can do to play her own important part in helping the household. This will make her feel important and she’ll take pride in helping out. If you can give your child lots of practice doing a chore, she will get better at it and will keep trying harder. Safe chores help children feel responsible, build their self-esteem and help you out too. Prepare for challenging situations. There are times when looking after your child and doing things you need to do will be tricky. If you think about these challenging situations in advance, you can plan around your child’s needs. Give him a five-minute warning before you need him to change activities. Talk to him about why you need his cooperation. Then he is prepared for what you expect. Maintain a sense of humour. Another way of diffusing tension and possible conflict is to use humour and fun. You can pretend to become the menacing tickle monster or make animal noises. But humour at your child’s expense won’t help. Young children are easily hurt by parental ‘teasing’. Humour that has you both laughing is great.